Magnolia Hotel Dallas Downtown in Dallas Texas! Bid per Room per Night and Choose your Length of Stay! Upscale, modern meets historic, urban architecture at the Magnolia Hotel Dallas Downtown, one of the city's most recognized buildings. "Pegasus - The Flying Red Horse", is illuminated at night and shines brightly as the icon of Dallas from atop this beautiful boutique hotel. 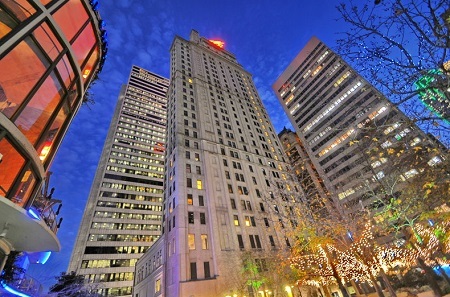 The downtown Dallas, TX hotel is located near the American Airlines Center, home of the Dallas Mavericks; Dallas Convention Center; Cowboys Stadium, home of the Dallas Cowboys and the Cotton Bowl, and the flagship Neiman Marcus. Experience our delicious menu options in The Lounge, or retreat to the comforts of your room or suite and order room service. 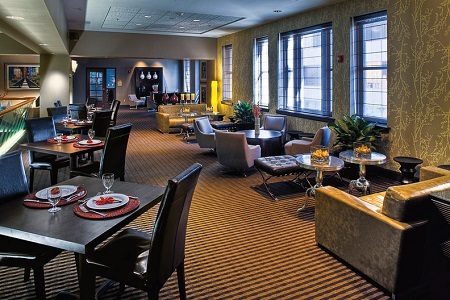 Our downtown Dallas restaurant makes things easy with an a la carte breakfast, lunch and dinner served daily in The Lounge, located on the second floor of the hotel. Guests of the Magnolia Hotel Dallas Downtown will enjoy an ideal downtown location as well as wonderfully designed accommodations that are appointed with premium amenities to ensure your stay is comfortable. 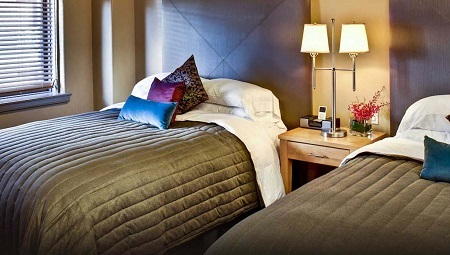 Offer based on a Single or Double Occupancy in a Deluxe Room. Breakfast NOT included.